Nikita Sud trained initially as a historian, with subsequent degrees in Development Studies. Her first job was as a Lecturer in Politics. She has taught at Oxford since 2007. Nikita uses inter- and cross-disciplinary lenses to explore the state and governance in the developing world, the politics of economic liberalisation, and the political economy of natural resources, particularly land. She is the author of Liberalisation, Hindu Nationalism and The State: A Biography of Gujarat (Oxford University Press, 2012), which is a long term study of the western region that is home to India's controversial Prime Minister Narendra Modi. 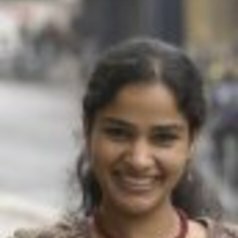 Nikita's research has featured in The Telegraph, The Times of India, The Hindu, The Indian Express, Outlook, Tehelka, Scroll.in, NDTV, The Tribune, Dainik Bhaskar, East Asia Forum, Mediapart (France), Sudwind Magazin (Austria), Bloomberg News, Bloomberg Business, OpenDemocracy, BBC Radio 4, Radio France, Al Jazeera and Radio Ö1 of the Austrian Broadcasting Corporation, among others. Many moons ago, she used to anchor music programmes on All India Radio.